Doris Day (born Doris Mary Ann Kappelhoff; April 3, 1924) is an American actress and singer. With an entertainment career that spanned through almost 50 years, Day started her career as a big band singer in 1939, but only began to be noticed after her first hit recording, "Sentimental Journey", in 1945. After leaving the Les Brown & His Band of Renown to try a solo career, she started her long-lasting partnership with Columbia Records, which would remain her only recording label. The contract lasted from 1947 to 1967, and included more than 650 recordings, making Day one of the most popular and acclaimed singers of the 20th century. In 1948, after being persuaded by Sammy Cahn, Jule Styne and her agent at the time, Al Levy, she auditioned for Michael Curtiz, which led to the lead in Romance on the High Seas, her first film with close friend, Jack Carson. With a legendary Hollywood "girl next door" image and capable of delivering comedy, romance as well as heavy drama, she appeared in 39 films, released 29 albums, spent 460 weeks in the Top 40 charts and eventually became one of America's most beloved entertainers. She received an Academy Award nomination for her performance in Pillow Talk, won three Henrietta Award (World Film Favorite), a Grammy Lifetime Achievement Award, Presidential Medal of Freedom, Legend Award from the Society of Singers, Los Angeles Film Critics Association's Career Achievement Award and, in 1989, received the Cecil B. DeMille Award for lifetime achievement in motion pictures. 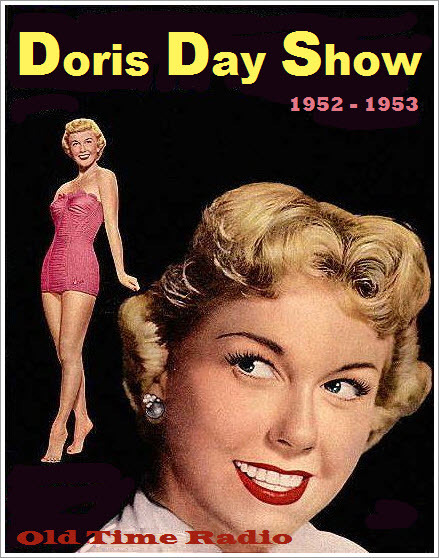 The Doris Day Radio Show began on CBS airing first on Friday, March 28th 1952 featuring many stars and friends that helped her during her rise to fame. The Doris Day Radio Show's first show had quest Danny Thomas, her co-star from I'll See You In My Dreams (1952). Other featured guest were Kirk Douglas,Cornel Wilde, Howard Keel, George Murphy, Frankie Laine, Gene Nelson, Mary Wickes, and Ronald Reagan. The Doris Day Show TV series, an American sitcom, was originally broadcast on the CBS network from September 1968 until September 1973. In addition to showcasing Doris Day, the show is remembered for its many abrupt format changes over the course of its five-year run. It is also remembered for Day's claim, in her autobiography Doris Day: Her Own Story (1975), that her husband Martin Melcher had signed her to do the TV series without her knowledge, a fact she only discovered when Melcher died of heart disease on April 20, 1968. The TV show premiered on September 28, 1968. Love Doris. God bless her. Thanks for posting. This is so great - absolutely love Doris Day, and it's fun to hear a young Doris host this old radio show - love it! Thanks for posting.